Former Maltese footballer Carmel Busuttil (il-Bużu), will be one of the guest players during next Sunday’s awaited exhibition match between Valletta F.C. and Manchester Reds Legends XI. Busuttil will be playing with Manchester Reds Legends XI, who are facing Valletta FC at the Centenary Stadium in Ta’ Qali on Sunday 9th September. The match kicks off at 6.30pm. Carmel Busuttil scored 213 goals throughout his career, 23 of which were scored for Malta’s National Team. He spent four years as Captain at Belgian football club K.R.C. Genk, finishing as the club’s top-scorer for three years. In Malta, Busuttil won 3 Premier Leagues, 2 Maltese Cups and 4 Maltese Super Cups between 1984 and 2000. Manchester Reds Legends XI players are all former international football stars who played with Manchester United F.C. between 1971 and 2008, winning many Premier League titles, FA Cups and Champions’ Leagues between them. Playing for Valletta F.C. are former local football stars including ex-goalkeeper Reggie Cini, ex-midfielder Nicky Saliba, and current Valletta F.C. 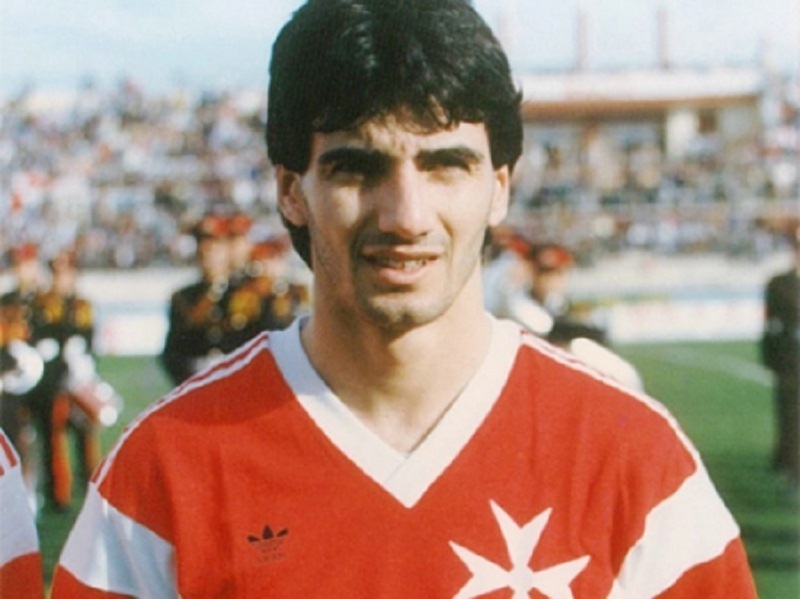 Assistant Manager Gilbert Agius, who scored 117 goals for Valletta between 1990 and 2012. The match is being held as part of the European Capital of Culture year, with all proceeds going towards the Ursuline Sisters’ Creche, Angela House in Gwardamangia which works with Maltese children and families in need. Manchester United ex-players coming to Malta for this game include Wes Brown, Raimond Van Der Gouw, Ronny Johnsen, Jonathan Greening, Lee Martin, Chris Casper, Andy Ritchie, Sammy Mcllroy, Keith Gillespie, Danny Webber, Ben Thornley, Arthur Albiston, Russell Beardsmore, Nick Culkin, and manager Jimmy Greenhoff. These former international football stars were all part of Manchester United at some point between 1971 and 2008, winning many Premier League titles, FA Cups and Champions’ Leagues between them. Rabat Ajax striker Malcolm Licari will also be joining Manchester Reds Legends XI as a guest player, together with Carmel Busuttil. Joining Reggie Cini, Nicky Saliba and Gilbert Agius for Valletta FC are Sean Sullivan, Ray Mifsud, Joe Camilleri, Jeffrey Chetcuti, Stefan Giglio, Nardu Farrugia, Keith Fenech, Frankie Grima, Joe Zarb, Ivan Zammit, Carlos Dimech, Ray Sciberras, Ian Zammit, Jeremy Agius, Melchior Cremona, Chris Camilleri, Shaun Bajada, Joe Micallef and Eddie Vella. Between them, these players won several Premier Leagues and Maltese Cups. For more information visit valletta2018.org and follow Valletta 2018 on Facebook.